Digital Delights Reindeer image, Echo Park Merry Christmas dp, Martha Stewart snowflake chain punch, bling, Martha Stewart loop punch, Prismacolour pencils, Cuttlebug Floral Fantasy embossing folder. Beautiful job using our new reindeer image. I love your flower! Thanks for joining us at Delightful Challenges. Great christmas card, love it! 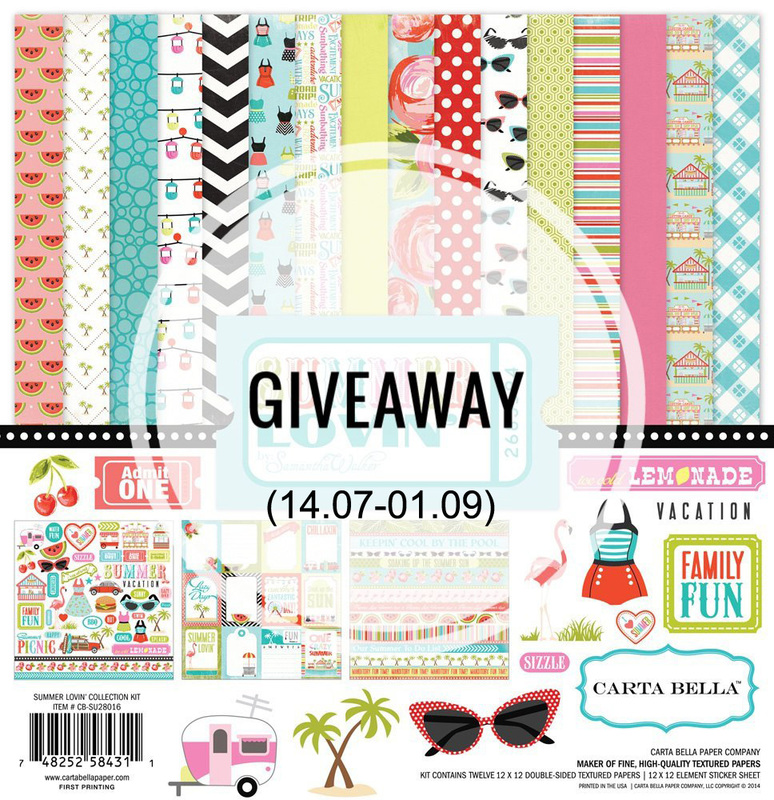 Thanks for playing along with us at Allsorts this week and good luck! Fab card! Thanks so much for joining us for this week's CES Challenge! This is adorable! I love your rosette snowflake! Thanks for playing along with our CropStop Sketch Challenge! Great card. I love your image and you did an amazing job with coloring him. I love the design of your card. Wonderful job. Thanks for playing along with The Paper Variety. 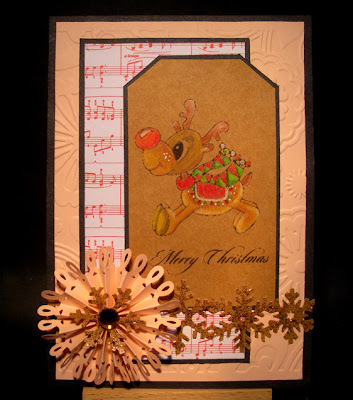 I love this little reindeer- and how you did it on the kraft/brown cardstock- great job. Thanks for joining the cropstop challenge as well. Lovely card and great use of the latest sketch challenge. Not sure if I am ready to think about Christmas in July, but you did a fantastic job. Thanks for joining us in the CropStop challenge. Adorable! Love that reindeer! Thanks for playing along with the Sketch challenge at CropStop! Thanks for playing along at Cropstop! Fantastic, love the colours combo, and this image is soooo super cute.L)) fantastic card.